Most legitimate banks and mortgage lenders look dimly on a past bankruptcy when it comes to granting a home loan. Depending on how much you are willing to pay, you may be able to get a home loan regardless of the credit circumstances of you or your spouse. If you want to get a home loan with a reasonable interest rate, you'll have to set up your loan application properly. A credit score is nothing more than a numerical reflection of how likely you are to pay back your lenders. Bankruptcy, according to credit reporting agency Experian, is the worst single thing you can do to your credit report. When your spouse declared bankruptcy, it was an admission to lenders of an inability or unwillingness to pay back debt. This admission via bankruptcy can dramatically lower your spouse's future chances of getting any kind of loan, including a home loan. Although the effects of bankruptcy diminish over time, the actual bankruptcy filing will remain on your spouse's credit report for either seven or 10 years, depending on whether Chapter 7 or 13 was filed. 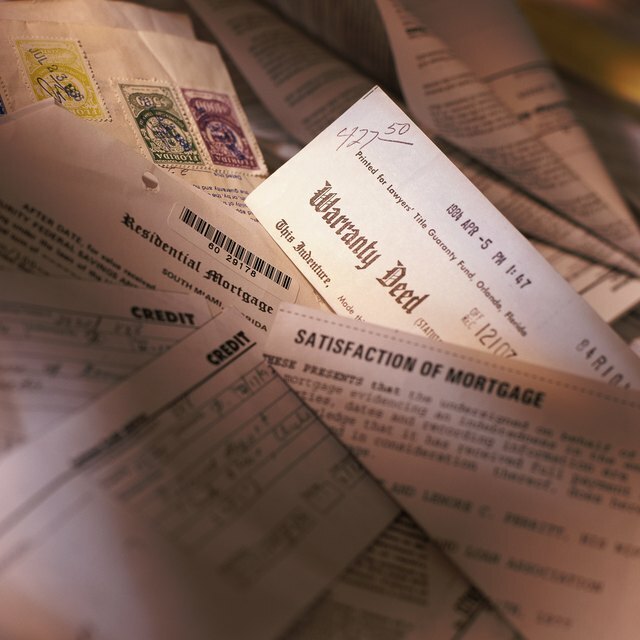 Even if you have stellar credit on your own, a joint mortgage application filed with your spouse may very well be denied. With a joint mortgage, your spouse will be solely responsible for repayment of the loan if you can no longer make payments, whether due to death, disability, or the loss of your job. In the eyes of a mortgage lender, your spouse's history of bankruptcy indicates a possible inability to pay off a loan without your help. It's likely that a lender will decide that you spouse represents a great credit risk, particularly if the bankruptcy was filed recently. Although it may be harder to meet a lender's requirements, you can apply for a mortgage in your name only if you want to avoid the effect of your spouse's bankruptcy. Mortgage lenders will look at your credit score, income, assets and employment status to estimate your ability to repay a loan. You will not be able to use your spouse's income or assets as a basis for repayment of the loan in your application, so the size of the loan you can get may be smaller than you desire if you apply on your own. If your income is high and you have a good credit history, you may be able to qualify for a loan without your spouse's help. Some lenders may still want to look at your spouse's credit score. How Long Does a Dismissed Bankruptcy Stay on a Credit Record? If you purchase mortgage protection insurance, lenders may look at your application more favorably. The main risk to repayment, in the eyes of a lender, is if your spouse becomes solely responsible for the mortgage. Having insurance sufficient to pay off the mortgage if you pass away can help reduce this risk and make lenders more willing to extend you a loan. The trade-off is that mortgage insurance is an additional expense that will make the overall cost of your home mortgage higher. Bankrate.com: Do You Need Mortgage Protection Insurance?